Connie studied Human Resource Management and Management at the London Metropolitan University. During her studies she worked part time as a sales assistant in shoe retail. After graduating she became the Assistant Manager of this retail store which gave her a chance to improve her customer service skills and to use some of the HR and Management knowledge she gained at university. 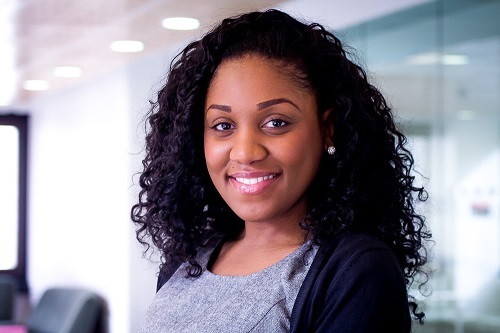 Connie soon realised that she had a real passion for customer services and decided to seek a similar role within an office environment in which she worked in a reception role for a year. She then worked as a receptionist at City for a year and a half, which she enjoyed, however wanted to find a role which her degree could be put to use. This is when she came across this role within Unitemps at City. This role gives her the opportunity to use both her degree and the skills and knowledge she has in customer service. After two years as a Recruitment Administrator, Connie is now the Senior Recruitment Consultant, managing all the internal temporary vacancies at City.